If your lives are as hectic as mine, simple recipes can be a blessing. I especially need a few simple ones in my repertoire during the even-busier-than-normal holiday season. While my preference is to make cakes from scratch, I am not opposed to augmenting a cake mix. This cake starts with both a boxed cake mix and boxed pudding mix. It really is so quick and easy to put together. I had it mixed and in the oven within minutes. I am on record as not being a huge butterscotch fan. I think that can be attributed in part to years spent trying to use butterscotch chips and being extremely disappointed. Then, I found Guittard’s butterscotch chips and decided to give butterscotch another try. The butterscotch flavor is not that pronounced in this cake. Overall, it’s a very mild flavor. I used semisweet chocolate for the glaze, but in hindsight I think bittersweet might have worked better. Of course, that’s a matter of chocolate opinion and I know better than to start the great chocolate debate. So, is this a great dessert for finishing a big holiday meal? Probably not. But, it would ideal for having around the house for snacking and sharing during the holidays. Preheat oven to 350°. Grease and flour a 10-inch Bundt pan. Set aside. Combine cake mix, pudding mix, 1 cup water, eggs, and oil. Using an electric mixer on low speed, mix until combined. Increase speed to medium and beat for 2 minutes, scraping down sides as needed. Transfer 1 & 1/2 cups of cake batter to another bowl. Stir in chocolate syrup. Pour light batter into pan. 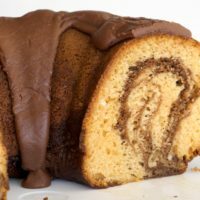 Top with chocolate batter. Using a knife or metal spatula, gently swirl through the batters to marble. Bake for 55-60 minutes, until a toothpick inserted near the center comes out clean. Cool in pan on wire rack for 15 minutes. Remove cake from pan and cool completely on wire rack. Combine chocolate and butter in a small saucepan. Cook over low heat, stirring constantly, until melted. Remove from heat and stir in powdered sugar and hot water. Add additional hot water, 1 teaspoon at a time, if necessary to attain drizzling consistency. Drizzle icing over cake. I had no idea that Guittard made butterscotch chips. Will have to check that out. I’ve never been very impressed with Nestle’s. Yummy! That looks so good. I’m not a big butterscotch fan either; but, if you like the Guittard ones I know they are really good. 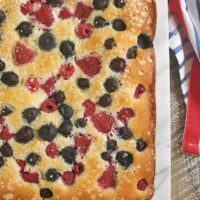 For an easy dessert, it sure looks fancy! 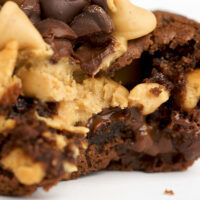 And regardless of what kind of chocolate you like, the topping looks totally decadent. 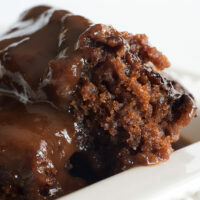 Your pictures are so beautiful, I want to eat everything on your site, and this cake is no different! It’s definitely important to have a simple recipe like this in your back pocket when the holiday season gets hectic. This cake looks just lovely! I’m glad I’m not the only one feeling a tad overwhelmed with the holiday and here I sit web/blog browsing when I should be baking. I’ve never been too keen on the butterscotch chips from Nestle–they tasted strange almost. I love this frosting on this. I love the swirl! Gorgeous cake!! I love using cake mixes as a base, especially when life gets hectic! 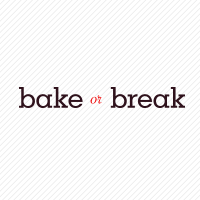 I love to bake from scratch, too, but sometimes, that isn’t always possible! This sounds like such a fabulous recipe! Thanks for sharing!!!! I AM a big butterscotch fan and I think my mouth is watering right now. Absolutely gorgeous! Whoa! This cake looks awesome! I love butterscotch, but not those awful supermarket butterscotch chips. Ugh! I had no idea that Guittard made them. I’ve never seen them before. Any ideas of where I might find some? oh my. i love pound cake. butterscotch sounds soo rich but i think my curiosity is going to get the best of me 🙂 definitely bookmarking this recipe! Oh drool…looks rich and fantastic! Ideal for a chilly holiday gathering. I’m not terribly fond of butterscotch either perhaps it’s because I’ve only tasted it out of the jar or eaten the (Nestle’s) chips. Thanks for the info on Guittards. Butterscotch is a favorite of mine and glad to learn about Guittards. My sister makes the best wedding cake and I just learned that she drs. a mix! Susan, I’ve only been able to find those butterscotch chips at World Market. Yeah! I just got a silicon bunt pan from my secret santa. 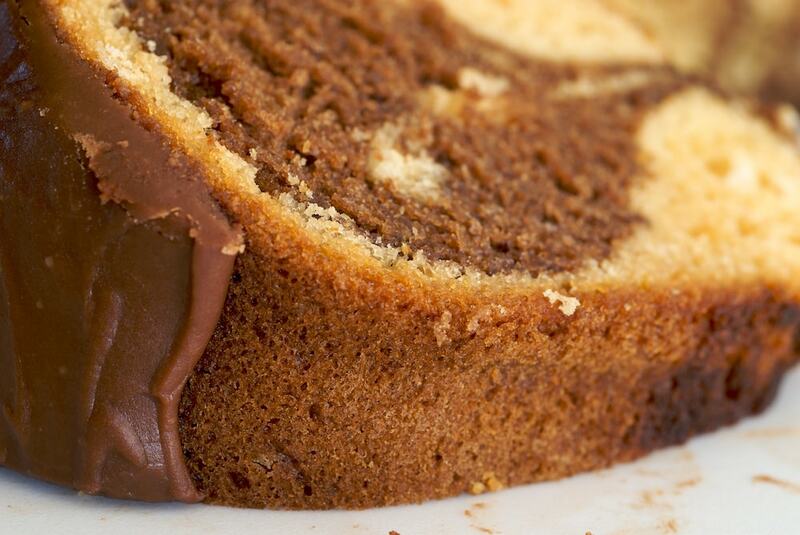 This marble cake looks great, I’ll have to try it in my new pan! 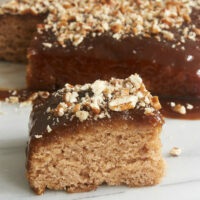 Butterscotch is my favorite I will have to give this a try! I have not had butterscotch in a while, since the good old cupcakes as a child. I could get close to this one! *drool* i like this one!I’d like to invite you to take some time to drop by at Foodista and share the info on this wonderful food with us. We have launched an online food and cooking encyclopedia ala wikipedia.Don’t forget to register first so we know who to thank the recipe for. Thanks! See you there! I also make a bundt cake that starts with a cake mix and butterscotch pudding mix and it’s delicious. Your swirls are especially gorgeous. I just love your blog. Everything looks so good! what a lovely beautiful blog u have!, i loved all the pics, the cake looks yum!! What a delcious recipe. Perfect for my get togethers! i LOVE the inside! 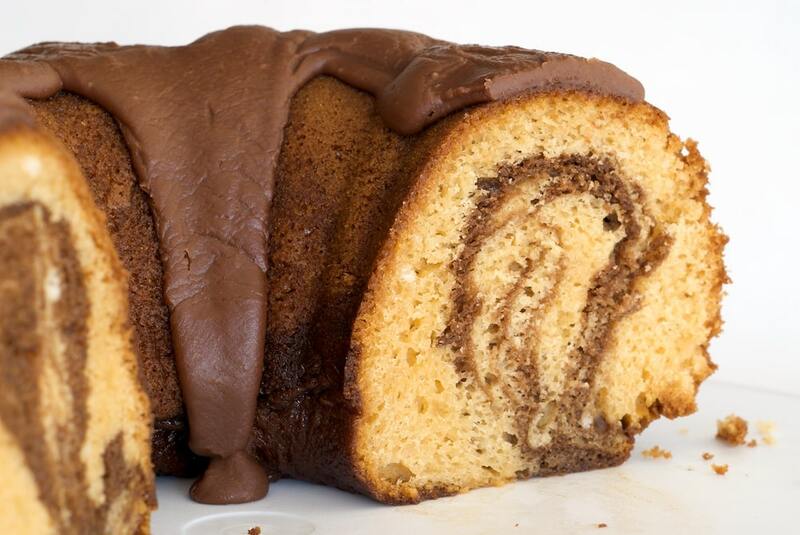 so swirly and moist! Wow .. this looks delicious. I love it. This recipe was great. 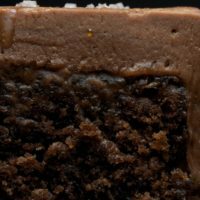 Easy to do, and although I do have to say it was not my most favorite cake (I tend to want super-rich decadent when I go for cake) it was moist, the crumb was nice, and best of all? My husband, who ignores the sweets and cakes in the house, ate several pieces! Must be a keeper! wow! i am drooling all over my keyboard now..will try it after exams..
Stephanie, it might work. If you give it a shot, let me know how it works. Hi, Stephanie. This should keep well for a few days if you keep it in an airtight container.